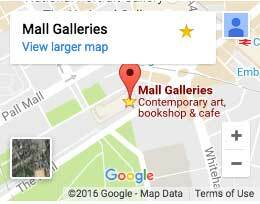 This Policy covers the Federation of British Artists and Mall Galleries Trading Ltd in relation to the collection and use of the information you give us. We may change this Policy from time to time. If we make any significant changes we will advertise this on our website (mallgalleries.org.uk) or contact you directly with the information. Please check this page occasionally to make sure you are happy with any changes. If you are a supporter, for example, joining our Friends or Patrons schemes, making a donation, volunteering, registering to fundraise or signing up for an event, in addition to asking for your name and contact details (your full address, email address and your phone number) we may also ask you for details such as your date of birth, although you are not obliged to provide this. With reference to processing payments or donations, we may hold bank or credit cards details; we do not store card details when making payments. If you are a grant or job applicant the information you are asked to provide is as set out in the application and necessary for the purposes of our considering your application. If you are purchasing good where we are acting as agent on behalf of an event organiser, we will collect your name and contact details in order that we carry out the sale. When you have given other organisations permission to share it: Your information may be provided to us by other organisations if you have given them your permission. This might, for example, be a charity working with us or might be when you buy a product or service from a third party organisation. The information we receive from other organisations depends on your settings or the option responses you have given them. When it is available on social media: Depending on your settings or the privacy policies applying for social media and messaging services you use, like Facebook, Instagram or Twitter, and only within the context of the services we offer, you might give us permission to access information from those accounts or services. We won’t share this information. Where you have provided information to us for the purposes of requesting information or requesting that we carry out a service for you, we will proceed on the basis that you have given consent to us using the information for that purpose, based on the way that you provided the information to us. You may withdraw consent at any time by emailing us at admin@mallgalleries.com. This will not affect the lawfulness of processing your information prior to your withdrawal of consent being received and actioned. It is necessary for us to hold and use your information so that we can carry out our obligations under a contract entered into with you or to take the steps you ask us to prior to entering into a contract. Your information is backed-up using a central server and offsite storage. We always ensure only authorised persons have access to your information, which means only our staff, volunteers and contractors, and that everyone who has access is trained appropriately to manage your information. No data transmission over the internet can however be guaranteed to be 100% secure. So, while we strive to safeguard your information, we cannot guarantee the security of any information you provide online and you do this at your own risk. Third parties who provide services for us, for example, MailChimp by sending mailings. We select our third party service providers with care. We provide these third parties with the information that is necessary to provide the service and we will have an agreement in place that requires them to operate with the same care over data protection as we do. Third parties in connection with restructuring or reorganisation of our operations, for example, if we merge with another charity. In such event we will take steps to ensure your privacy rights will be protected by the third party. Owing to matters such as financial or technical considerations, the information you provide to us may be transferred to countries outside the European Economic Area (EEA), which are not subject to the same data protection regulations as apply in the UK. We meet our obligations under GDPR by ensuring that the information has equivalent protection as if it were being held within the EEA. We do this by ensuring that any third parties processing your data outside the EEA either benefits from an adequacy determination for GDPR purposes and/or, where appropriate, we have entered into a Data Processing Agreement which contains model EU clauses. We appreciate that our supporters are of all ages. Where appropriate, we will ask for consent from a parent or guardian to collect information about children (under 16s). We will hold your personal information for as long as it is necessary for the relevant activity. By way of example, we hold records of donations you make for at least six years so we can fulfil our statutory obligations for tax purposes. Where we rely on your consent to contact you for direct marketing purposes, we will treat your consent as lasting only for as long as it is reasonable to do so. This will usually be for two years. We may periodically ask you to renew your consent. rights in relation to automated decision-making and profiling, including profiling for marketing purposes. All of these rights are subject to certain safeguards and limits or exemptions, further details of which can be found in our Data Protection Policy. To exercise any of these rights, you should contact us at the above address.